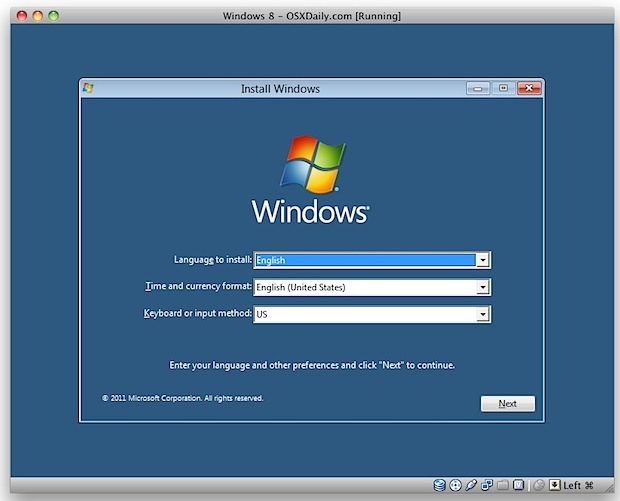 We already covered how to install Windows 8 in VMWare, and now we’re going to show you how to get Windows 8 running inside of VirtualBox. 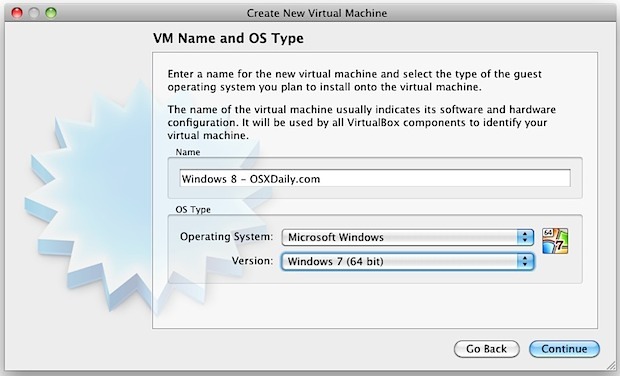 If you’re wondering why, well, VirtualBox is advantageous for several reasons, the two main being that it’s free and it’s available for all major platforms including Windows, Mac OS X, and Linux. 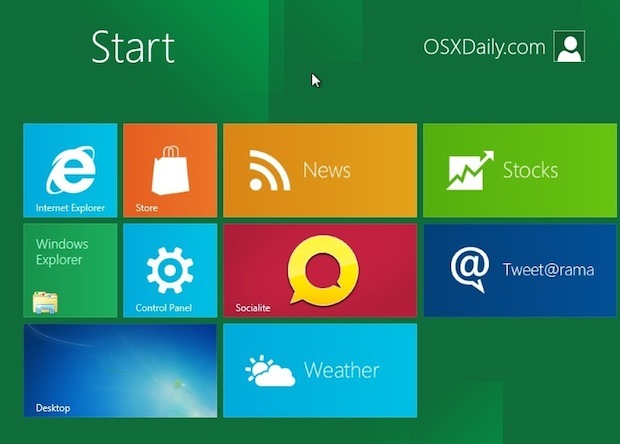 Put the Win8 ISO somewhere you can find it easily, and install VirtualBox before proceeding. You’ll notice the setup is a bit more complicated than using VMWare, but we’ll walk you through everything so just be patient and you’ll be up and running in no time. How long it takes to intall largely depends on the speed of your computer, but it’s generally pretty quick. Windows 8 runs fairly well in VirtualBox, but unless you have a touch screen you won’t get the full experience of Metro, which is probably the most compelling thing about Windows 8 anyway. Note: Some users have trouble installing Windows 8 64-bit version in VirtualBox, if you encounter a constant reboot loop, crashes, or freezes during install, try using the 32-bit ISO of the Developer Preview instead. If you continue to have problems, you can always use the free 30 day trial and install it in VMWare instead. I did the VMWare method and used it for a while and got bored, it’s probably not fair to judge without having touch but I’m just not that enthusiastic on my first impression with a mouse in Metro. Anyway, with a year for hardware and everything to catch up I think it will be decent, and something tells me there will be many more touch PC’s than Macs in the very near future. Will there be a walk-through for Parallels 7? @lee I just finished the install on an early 2011 MBP (2.2 GHz Core i7 with 8GB RAM). Went flawlessly after I set the switched in System as instructed in the article. @Huib: you either don’t have hardware virtualization or haven’t turned it on. 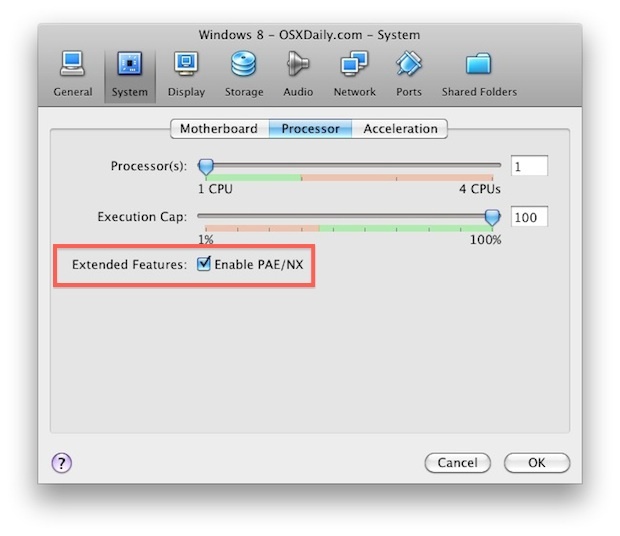 It is required for running Windows 8 virtually. I have everything right and when I click start then Install is comes up with a screen saying Select Driver to be installed. 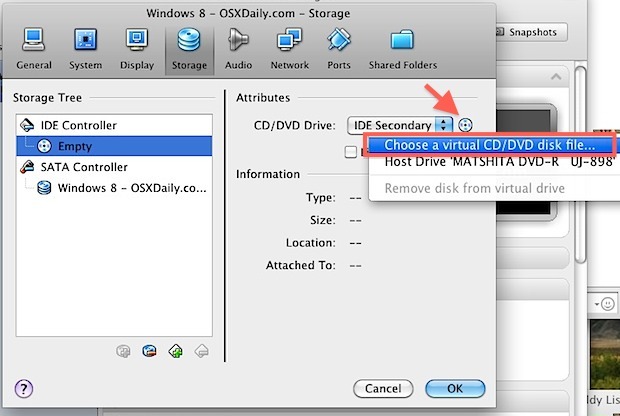 Load driver a required CD/DVD device is missing etc. From that I can’t go any further. Failed to open a session for the virtual machine Windows 8. Got it working OK in latest Virtualbox on my iMac but for sound. Ubuntu sound is working OK.. any ideas? Its OK, had to install a device driver .. duh! hey guys, i have got the virtual machine working but it asks me for a product key? I dont know where to get one. Have been searching online for days…. NOTHING!!!! help! VirtualBox install went flawlessly. As far as Windows 8 goes, I’ve never seen a more confusing and hacked together operating system. There is no way businesses are going to buy it. If you are installing an x64 on Virtual Box do not forget about turning on ioapic. Otherwise you are SOL.